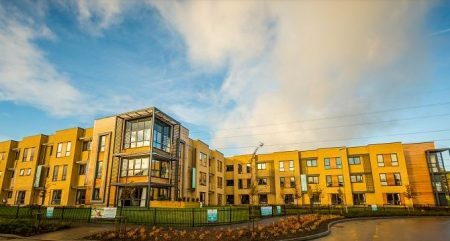 Duke Meadows is an 80 bed care home consisting of a three-storey building constructed in a contemporary style using a mix of modern and traditional materials. The Highwood Group and Cinnnamon Care development has been shortlisted as a finalist for the South East LABC Building Excellence Awards 2017. We were contracted by Highwood Group to provide full fire sprinkler protection to all areas of the building. The care home opened to residents in October 2016.